The Indonesian rupiah has become the center of attention being the strongest emerging market currency (tracked by Bloomberg) so far this year. Indonesia's currency has appreciated 4.97 percent (spot market) against the US dollar since the start of 2016, outperforming the Brazilian real and Malaysian ringgit. Meanwhile, Indonesian government and central bank officials say they are committed to encourage further strengthening of the rupiah. 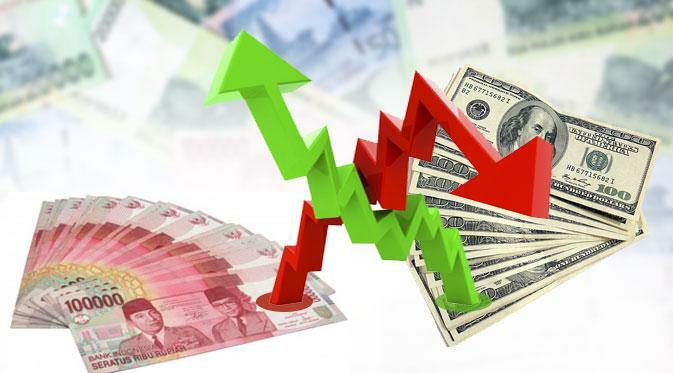 On Friday (04/03), Bank Indonesia's benchmark rupiah rate (Jakarta Interbank Spot Dollar Rate, abbreviated JISDOR) appreciated 0.76 percent to IDR 13,159 per US dollar. Strong rupiah performance is caused by improving investor confidence in Indonesia's economic fundamentals (particularly after seeing Indonesia's better-than-expected Q4-2015 GDP growth), recently rising crude oil prices (which should encourage higher prices of other commodities such as crude palm oil, natural gas and coal), Indonesia's attractive yields (while Japan, the Eurozone, Sweden, Denmark and Switzerland have adopted negative interest rates), and improving macroeconomic indicators of Indonesia such as inflation and the current account balance. Lastly, the US dollar has recently been weakening due to bleak US macroeconomic data. As a result Indonesia has been 'rewarded' with capital inflows, hence giving rise to a stronger rupiah. Indonesia's Chief Economics Minister Darmin Nasution said the nation's financial authorities need to implement further steps to ensure capital inflows will not rapidly flow back abroad (in other words, avert a sudden reversal of so-called hot money). In the first two months of 2016 a total of IDR 35 trillion (approx. USD $2.6 billion) of foreign funds have flown into Indonesia's securities and capital markets. However, IDR 1.9 trillion (approx. USD $144 million) has already been moved outside Southeast Asia's largest economy due to profit taking. Agus Martowardojo, Governor of Indonesia's central bank (Bank Indonesia) said the strengthening of the rupiah is particularly supported by improved government spending in the last quarter of 2015. Improved realization of government spending was a key driver of Indonesia's accelerated economic growth in Q4-2015. For investors it is important to see the commitment and fruits of the government's efforts to boost Indonesia's economic growth. Apart from spending, the government has also been unveiling a series of economic stimulus packages (which include deregulation and tax incentives) since September 2015 in a bid to boost the country's economic growth pace. PATA Indonesia Chapter acts as a catalyst for the responsible development of the travel industry. Since it bridges between the public and private sectors it can help enhance sustainable growth, influence tourism policy, add value to the product and increase the quality of the offering. PATA Indonesia Chapter (PIC) acts as a catalyst for the responsible development of the travel industry. Since it bridges between the public and private sectors it can help enhance sustainable growth, influence tourism policy, add value to the product and increase the quality of the offering. PIC will help promote Indonesia as a destination, filling in the gaps in promotion, advertising and marketing the Ministry of Tourism, local tourism bodies and the private sector cannot fulfill.